No matter how experienced you are or how many facelift cases you may have done as a Cosmetic Surgeon, you need to keep up to date with all the latest developments and new techniques in surgery. For this reason I am heading off to London this weekend to take part in the Facial Surgery Masterclass with some of the biggest names in Cosmetic Surgery from the UK and Europe taking part. The cosmetic surgery course is being held at Mercedes’ test track and it will incorporate a track date as part of a team building exercise and to really get the adrenaline going and your mind wide awake ready to learn as much as you can in the following two days so at least it ain’t all work, work, work! The course is run by Mr Norman Waterhouse who is is a very well known senior Cosmetic Surgeon in the UK. There are also many experienced managers of the faculty coming over to talk on their particular area of expertise. So what will we be covering? Well most of it will be around refinement of newer and proven techniques in Facelift surgery. There are new laws and new studies on how we can make this a safer operation but also on how we can refine and tailor the result for each individual patient, bearing in mind that we are all very different eg some of us will have looser skin and some of us will have tighter skin just as one variable! As a Surgeon, one of the main concerns after a Facelift procedure is a bleed under the skin and there is now a new technique using stitches to greatly reduce the incidence of excessive bleeding. I am always especially careful about stopping the bleeding but anything that makes the operation even safer can only be of benefit to us all. 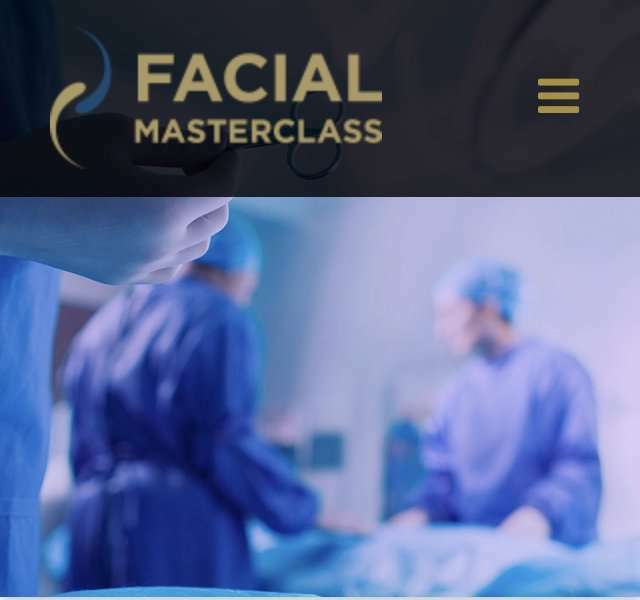 Variations on Facelifts will be presented too as there are many different ways of achieving a similar result, but the scars and downtime can differ greatly depending on the chosen technique eg there are techniques using short scars and some that use stitches, others rely on manipulation of the layer beneath the skin, known as the SMAS to achieve a longer lasting correction and resetting of the ageing clock! The Superficial Musculoaponeurotic System (SMAS) is the continuous layer, or sheet, of firm tissue that lies underneath the skin and runs from your collarbone to your forehead. We will also be covering non surgical techniques that can be used to augment the result of a facelift and often the subtle use of these techniques as well as surgery can produce the most natural results. We will also be learning about the latest techniques in brow lifting. There will also be talks on the latest eyelid techniques. The pinch blepharoplasty can be done for this who are only needing a small amount of correction but sometimes fat transfer rather than surgery is the right choice and learning who is right for which procedure will be an important part of this day. There will also be presentation on the use of 3D software to analyse the face and determine changes that have occurred. This type of planning is something I use frequently on my breast surgery patients and it is becoming more common in facial surgery too. The systems can measure any loss of volume that can be corrected with fat transfer and also see any skeletal changes. All in all it promises to be great opportunity to learn, network and hopefully make some new friends!